There was a time when cremation was unheard of, and loved ones were buried in cemetery burial plots or laid to rest on family owned property. Nowadays however, more individuals are deciding to forego purchasing or finding a burial plot and opting cremation for themselves or their beloved. In Timmins, Canada, a rise in the decision to cremate has forced the city to find ways to accommodate those who are opting not to purchase burial plots. On Monday, a council approved the construction of a fourth columbarium for the Timmins Memorial Cemetery. A columbarium is used for the placement of ashes for those who do not wish to keep or scatter them. When the city first moved into the use of columbariums at its cemeteries, officials weren’t sure how people would react to it. It took about two to three years on the first one for people to get used of the idea. 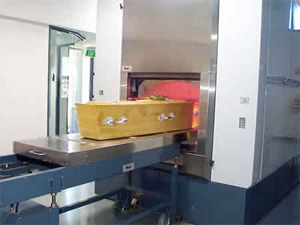 To learn more about the rise of cremation as a burial trend, visit here.